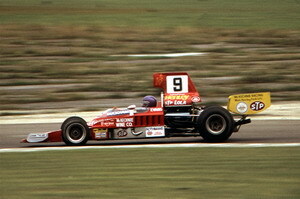 Bob Evans racing the McKechnie T332 in a 1974 Rothmans F5000 race. I am saddened to report that Alan McKechnie died peacefully in his sleep this morning. Alan, an Associate Member who joined the Club in 1967, was 73 years old. The funeral has been arranged for Thursday 25 March. There will be a private ceremony for family and close friends followed by a service and celebration of Alan's life for everybody at St. Michael and All Angels, Ledbury at 12.15pm. If you would like to attend please contact Bob Evans at bob.evans@ebruco.co.uk.